My boss refuses to yield to my repeated requests for a 4-hour workweek. I, like Timothy Ferriss, wish to indulge my true passion and travel the world but I’ve had no success cajoling and wheedling, explaining how I can work remotely; that through the magic of Skype, I can be virtually present while actually slurping down a bowl of pho guya truyen in Hanoi. He deftly deflects each of my attempts, reminding me that my tax dollar-funded position as chief fiscal officer requires my physical presence in the office. To date, I’ve simply managed to get him to agree to let me work more hours in exchange for additional days off. Somehow, I don’t think that’s what Mr. Ferriss had in mind. While I’m tethered to my desk, grinding out the hours between 9-5, I’ve developed coping techniques to get me through the many days between trips. 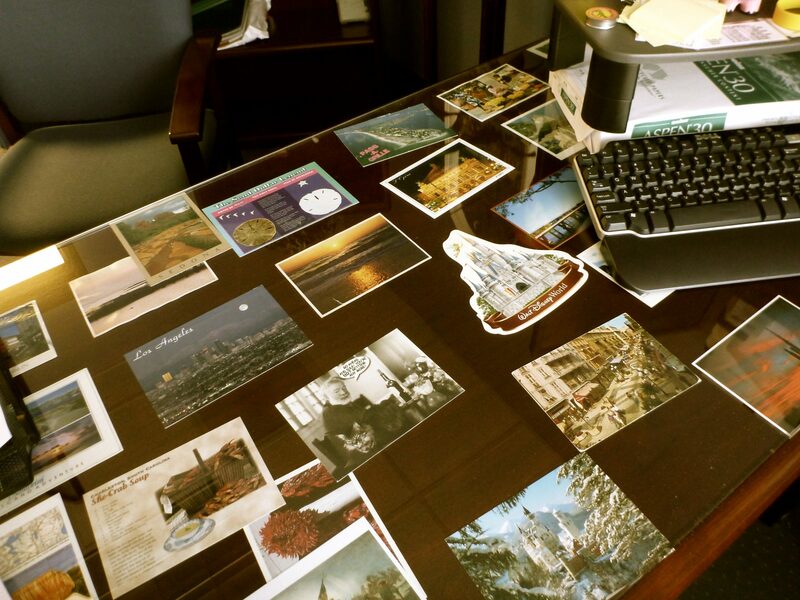 For example, I’ve turned my physical desktop into a vision board by layering postcards that I’ve received or purchased beneath a piece of glass. When I need a little break from balancing debits and credits, I look down and take a journey from the red rocks of Sedona to Charleston’s Straw Market and lose myself for a minute or two. It’s also a great conversation starter. Visitors to my office point to a card and say, “You’ve been to [Name of Destination}? My wife and I went there a couple of years ago and had a great time!” When you’re withholding payment for a missed deadline, the news is easier for me to deliver and for the contractor to receive when we’ve shared a ziplining experience in Juneau. And if travel’s not your thing but interior design is, put your magazine clippings from Architectural Digest under the glass. Or fashion photos, garden designs or knitting patterns. 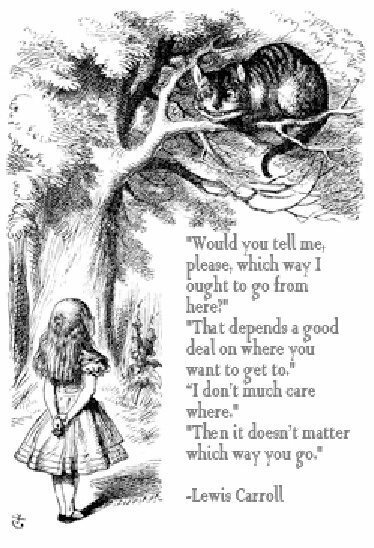 The idea is to create your own rabbit hole to jump down when the going gets tough and the tough can’t leave. « Rejoice, Air Travelers! Sanity’s Restored! Is there a postcard from the Jug under that glass that smells of stale beer and unrequited love? Now that’s a conversation starter. No. But I do carry their V.I.P. card in my wallet! Your post is so inspiring and encouraging to all dreamers out there. Thank you so much for highlighting my personal escape hatch.